On January 25, 2018 at 7:05 AM our beloved wife, mother, grandmother, great-grandmother, sister, and aunt was taken Home. Teresa was born on February 10, 1943 to Pat/Mokakin and Paula/Poona (nee Iron) Weasel Head. She was the youngest biological daughter of 15 children. During her upbringing, her parents raised her in the traditional Blackfoot ceremonies and as a little girl she was transferred with them into the Medicine Pipe Bundle, Aihtsi’siihtsi. At the age of seven, Teresa was placed in the St. Mary’s Indian Residential School on the Blood Reserve. Only going home at Christmas and summer, where she would be at the Aokokatsin. She began playing the organ at the age of 13 and would play at all masses, at times three masses a day. She skipped grade 8 and was placed in grade 9 with her brother Moses. In Grade 10, her final year at St. Mary’s, she was in the same class as her future husband Tony, who had returned from St. Thomas College. In order for Teresa to complete a grade 12 education she had to leave the reserve she attended several nearby schools, including Cardston and St. Mike’s (Pincher Creek). She then left to attend Legal High School, which was unconventional for her very traditional parents. Upon completion of grade 12, Teresa expressed interest to attend teaching school in Saskatchewan, however, the priest refused to support her. She then turned to her sister, Helen MacDougall, to assist her application process for the St. Michael’s School of Nursing, which she began in 1963. In 1964, Teresa was reunited with the love of her life, Tony. After being together for two years and having their eldest child, Tony and Teresa were married on May 14, 1966 with Fr. Marvin Fox, Oblate Priest presiding. Mom and Dad had 2 more children all the while mom was going to nursing school and practicums that included Ponoka, Fort Macleod, and the Blood Indian Hospital. Mom graduated as a Registered Nurse (RN) in 1970 but attended a rodeo instead of the graduation ceremony. She began working full time at the Blood Indian Hospital (BIH) in Moses Lake in 1970. She had her three younger children while working. She completed her Hospital Administration certificate in 1977 through distance learning. In 1978, she was elected as part of the Blood Tribe council, and served a two-year term under the late Chief Jim Shot Both Sides, and Roy Fox. Chief Shot Both Sides hand-picked Teresa to be part of the health committee, and she was instrumental in the development of the Blood Tribe Health Department. In 1981, Mom’s brother, Moses, and her mother, Poona passed away. These two events made it difficult for mom to remain at BIH and she transferred to public health nursing in Standoff. She completed her Nursing Administration from Ottawa during her tenure in Standoff. Mom was a very active member of the Indian and Inuit Nursing Association of Canada. From 1986 to 1990 mom was the Nurse-in-Charge for Piikani Public Health. She worked closely with Charlie Weasel Head (Blood Indian Hospital Administrator) and other tribal leaders in Piikani and Kainai to develop a Community Development Plan. In 1986, mom was asked to be part of a grass roots team to organize the take-over of the Education system from the Government and Canada and put it in the hands of the local community. Mom and others canvassed the community for signatures and local control began in 1988. Mom served as one of the first Parent Advisory Committee (PAC) members from 1988-90. She did not serve again until 2015-17. Mom’s most recent involvement with a community organization was for the revitalization of the Blackfoot Language as a committee member of the Aiitsiipoyiiksi Committee, from 2014 until her passing. Mom was a devout Catholic, she was involved in the Cursillo movement when it first came to the Blood Reserve in 1983. She served as Rectora in Saddle Lake Alberta in 1985. She received her certificate for Pastoral Biblical Theology from the Newman College in 2003. Mom was in right relationship with both her Maker and the Church, receiving Holy Communion until her last day. Mom was devoted to her Rosary and this was being said by her family as she took her last breath. Mom was a devoted wife, mother, grandmother, great grandmother, auntie, and sister. Mom and Dad were devoted to one another and their vows and they were honored by their children who organized their 50th Wedding Anniversary Celebration on May 14, 2016. Mom was very supportive of dad and their ranch in the hills where for a time they raised competitive-racing quarter horses. The highlight of their competitive career was racing their favorite horse, Liberty Oh. Mom was a great inspiration to her family in all they did, she sacrificed much of herself to foster her families passions in their own endeavours including rodeo, hockey, figure skating and most especially their educational journeys. Mom had a very large family. She was a compassionate woman who held many dear in her life. Due to this, the family apologizes for not mentioning everyone. Mom was predeceased by her parents Pat and Paula Weasel Head; brothers: Mike (Louise) Oka, Robert, Charlie (Irene), Pat (Annie), Frank, and Moses; her sisters: Gertrude (John) Fox, Margaret (Jack) Many Bears, Mildred, Gabriel, Isabelle, and Helen (Martin) MacDougall and her father and mother in-law, George and Margaret Fox. Mom is survived by her beloved husband Tony Fox; children: Annette (Clark) Bruised Head, Sheila, Derrick (Louise), Terri-Lynn, TJ, Paulette (Duane) Mistaken Chief. Grandchildren: Ken (Erin), Andrea, Scott, Mario (Hayley), Diandra, Ross (Danielle), Joey, Courtney (Nevin), Chate-Lane (Troy), Austin, Avery, Chondra, Jaklyn, and Dallis; Great-Grandchildren: Meeka, Paige, Cruz, Gunner, Brodie, Keni, Drew, Chloe, Tien, Tsisga, Scotty, Sawyer, Tasitsa, Kenneth. Her brothers: Peter (Wanda) and Charles (Rhonda) Weasel Head. Her sisters: Celestine Twigg and Beverly Hungry Wolf. Her inherited children of Charlie Sr. and Irene; her in-laws: Marvin (Lillian), Delphine (Woodrow) Good Striker, Norbert (Louise), Leo (Dave), Bernard (Barb), Chief Roy (Genevieve), Arnold, Jenny, and Jacinta. 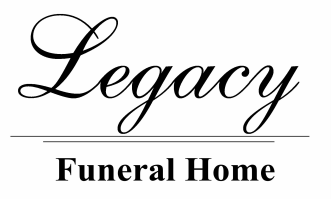 A Family Service will be held on Tuesday, January 30th, 208 at Legacy Funeral Home, Cardston from 5:00 to 6:00 pm followed by a Wake Service at the Senator Gladstone Hall, Blood Reserve from 7:00 - 11:00 p.m. The Funeral Service will be at the St. Mary’s Catholic Church, Blood Reserve on Wednesday, January 31st, 2018 at 11:00 a.m. Interment will be held in the Blood Band Cemetery.